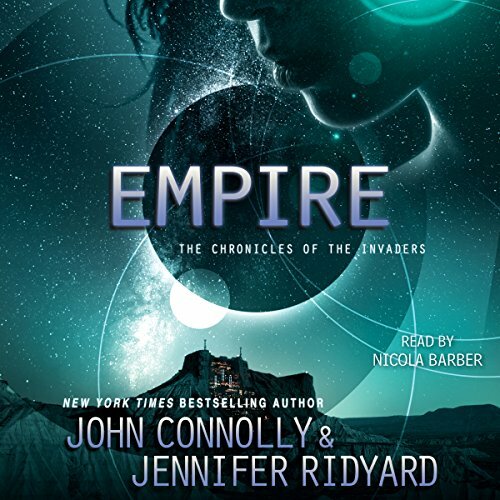 Following Conquest, the first part in a stunning new science fiction trilogy that "should not to be missed" (The Guardian), Empire continues the journey of Syl and Paul as they fight to regain planet Earth from a ruthless alien species. Earth has been conquered and occupied. The war is lost. The resistance still fights the invaders, but they are nothing more than an annoyance to the Illyri, an alien race of superior technology and military strength. When caught, the young rebels are conscripted. Part soldiers, part hostages, they join the Brigades, sent to fight at the edges of the growing Illyri Empire. Paul Kerr is one such soldier - torn from his home and his beloved Syl Hellais. She is the first alien child born on Earth, a creature of two worlds - and a being possessed of powers beyond imagining. Now both must endure the terrible exile that Syl's race has deemed just punishment for their love. But the conquest of Earth is not all it seems. There is another species involved, known only as the Others, and the Illyri will kill to keep their existence secret. Light years from Earth and millions of miles apart, Paul and Syl must find a way to reveal the horrifying truth behind the Empire and save all they hold dear from the hunger of the Others. This is a fantastic follow up to book 1.I fully recommend this series. I do not remember if I spent a credit or if I received a review copy of the audible-book. So, just incase I did receive a review copy, here is the obligatory: "I was given this free review copy audible-book at my request and have voluntarily left this review." I hope you can enjoy it as much as I have.